Use this training program to help satisfy the function-specific training requirement (49 CFR 172.702(a)(2). 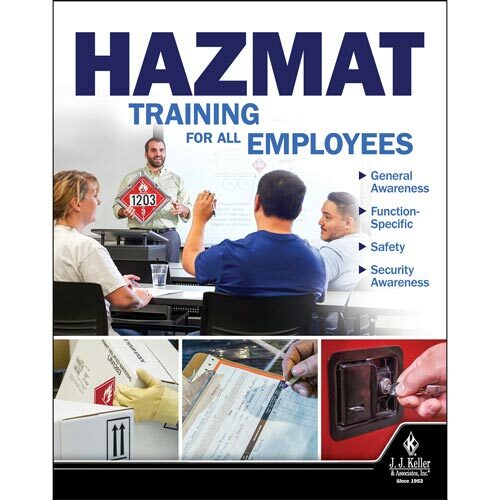 Before taking this training, drivers must have hazmat general awareness, security awareness, and safety knowledge from training or experience. Thank you for your interest in previewing the Hazmat: Highway Transportation Driver Training online course. Please register or log in to watch free previews, browse the course library, purchase training points, and more. "With Training on Demand I'm able to manage training related to federal, DOT, OSHA, state and corporate requirements - coast to coast - regardless of my location. The centralized recordkeeping and progress monitoring aspects of the system provide me with fingertip access to all my data instantly. The curriculum is reliable and up to date, and the presentations are concise." Trusted by safety professionals around the world, J. J. Keller® Training on Demand sets the standard for quality, compliance, and comprehension. Our interactive training programs are available in a wide range of convenient formats, incorporate the latest regulatory information and adult learning techniques, and are backed by over 25 years of training development expertise.